I started writing seriously in 2009 (a lot of things led up this “seriousness” but that’s a different post). In 2010, I got my first book deal from CFI, and in 2011, I attended my first writing conference – LDStorymakers in Salt Lake City, UT. I had a book contract in hand, knew only a TINY handful of people, and had zero idea what to expect. 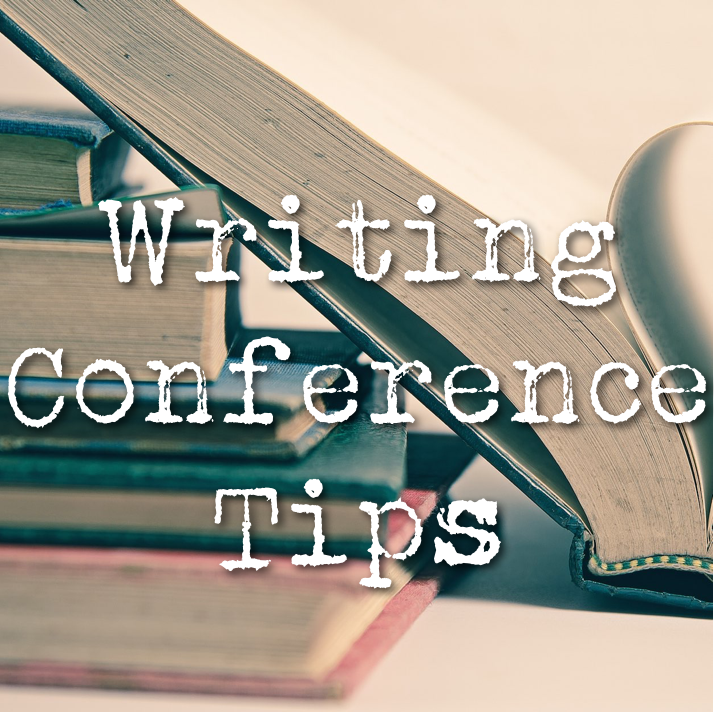 That conference, the friendships I solidified, and the things I learned, were a huge boost in my confidence, writing skills, and career as an author. ONE – Have people to meet up with. (there is a reason this comes first). As writers, the majority of us are perfectly happy chatting with our characters behind our computer, so having a few “safe” people, is a serious help for anxiety. TWO – Do not only chat with your safe people. The chances of meeting a new bestie at a conference is pretty high. I met Jenny Proctor just after a fantastically embarrassing incident that she talks about HERE, and now she’s one of my favorite people. THREE – Enter contests, sign up for things you’re not sure about, and stretch yourself! FIVE – Allow yourself some free time. I do this maybe too much? (Melanie might laugh and say YES!) But I have so much fun chatting with new authors in the halls, looking through the bookstore, and meeting new people that I’m not about to give up my free time. SIX – ASK QUESTIONS! Most presenters, if they have time, will happily field questions after their classes are over. If they didn’t want to teach, they wouldn’t have asked to teach. SEVEN – Remember that agents have come to LOOK FOR YOU. Agents don’t come to conferences for the big stipend and luxurious hotels. They come to conferences to find stories they think they can sell. EIGHT – Pick your classes thoughtfully. I’ve talked with people who spend conference time going to classes they already felt were within their realm of strengths. NINE – Most conferences have hands-on classes either before or after the main conference. These are such a fantastic opportunity for direct feedback and the chances to ask questions about that feedback. TEN – Take advantage of social activities planned (if there are any). I’ve learned more from other authors while chatting around a table, than I sometimes learn in classes. This is where I get the scoop on the business side of publishing. Any more tips? I’d love to have them!! Ibuprofen. Take it. The interactions with people and so much learning are so incredibly awesome, but I always get a headache about halfway through day one. Last year my stomach was so upset, I could even eat a BITE of a granola bar w/o it rolling. SO WEIRD. But donuts seemed to do okay. Mental much? But still. That's my excise, and I'm sticking to it. Seek out authors you've read/heard of and introduce yourself in a non-creepy, organic way. I suggest doing this while holding a copy of their book and a pen, for their siggy! And if you're tongue-tied or at a loss for what to say to a new face, keep in mind that 1. You have writing in common, and 2. the easiest thing you can say/ask that will strike up a conversation is: tell me about what you write!